Every year we get to witness the latest and greatest of the video game industry at E3. But more importantly, we get a very enticing sneak peek to the future of games, technology and more. We got some details back in February but now Bethesda has announced when and where they will hold their big show. 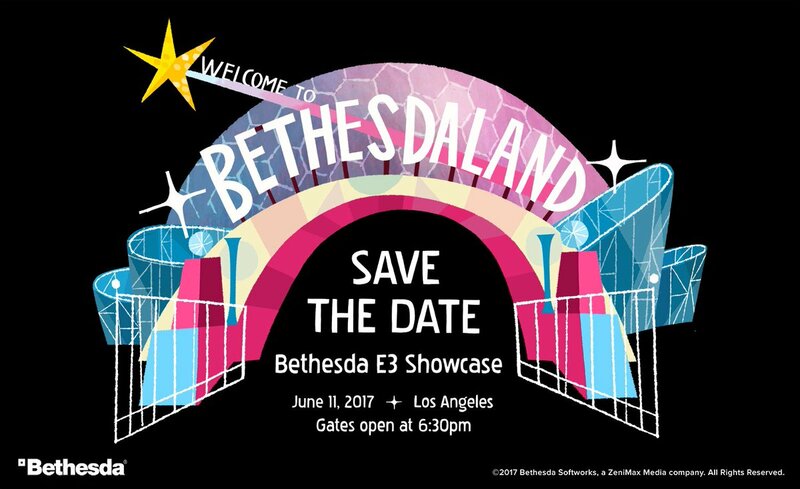 On June 11, fans will get to attend the annual Bethesda E3 Showcase. The event starts at 6:30PM in Los Angeles but no information on ticket availability has been revealed as of this time. All we have to go by is an image featuring a sort of theme park design with a little World’s Fair vibe titled “Bethesdaland”. Could this possibly be a teaser of an unknown title being developed or is Bethesda trying come up with a setting for the venue? The Bethesda Showcase has been a huge hit the last couple of years with big announcements regarding Fallout 4, Dishonored 2 and more. Stay tuned for even more news on Bethesda and everything E3.